There were many factors contributing to their lack of popularity in Japan, but one of the major ones I cited was the appearance of AKB48. They were younger, newer, they were more accessible (at the time) and they had the variety emphasis Momusu no longer had. Momusu had to figure out what it wanted to be in the bridge period between the Golden Era and whatever they were to become. I think people generally agree that their Golden Era ended when Yossy graduated, but the usual transition was interrupted by Fujimoto Miki unexpectedly resigning to be with the man she eventually married (“Shoujiiiiii!”). Until Tsunku could find our ninth generation, Momusu had to recreate itself without their senpai to help. One of the main things I kept seeing in blogs was ranting about ‘stagnation’ and it still bothers me. For a period of such immense changes, people didn’t seem to see anything but the lack of auditions and reliance on the same types of songs for each new release. I’m going to try and explain why I feel they didn’t stagnate; in fact, I think their development raised the bar for future generations and paved the way for the Colourful Era. So first off, let’s talk JunLin. Junjun and Linlin will probably never happen again and none of us know where that idea came from. It was grossly mishandled for some or an idea that was cool but didn’t catch on for others. Whatever your opinion on JunLin, it was an unprecedented move that no other generation will ever experience. I highly doubt they will ever risk it again, especially now that Tsunku isn’t making every decision by himself anymore. Junjun and Linlin were “transfer students” who joined Mitsui’s eighth generation and their growth in the span of three short years was remarkable: two very distinct voices and personalities, who diligently studied the language till they could express themselves. Takahashi still keeps in touch with them (as far as I know) and she always seemed genuinely proud of how well they fit into the group and how they overcame so many barriers. I’ve heard some of the other Platinum girls have kept in touch too. It may have been their decreasing relevance in Japan that led Tsunku, or the company, to begin pushing Momusu internationally, but it was another thing Momusu had never done before. It must have been so encouraging and surprising to see they had so many fans in other countries. These initial trips to China, Paris and the U.S opened up some doors. It has led to an extended contract with J-melo and the entrance of Nonaka Miki, who can speak English and Japanese and has vowed to take Momusu all over the world. They’ve also embraced youtube as a marketing tool, going as far as recording adorable messages in other languages to their fans before they visit. I realize that it’s Juice=Juice who got the first world tour in the history of H!P, but it was Momusu who started the travelling. You can scoff and say that the ONLY reason to do this is because Japan no longer cares about them. It seems Japanese artists really only travel when they stop selling in Japan. Isn’t this true for any artist though? It just makes sense to go where the fans are so you can keep making music. I know Japan is a huge market and that’s where their main fanbase is, etc, but if they hadn’t had this period of decreasing relevance to propel them into the international market, I and many others would never have gotten to see them in New York. That is one of the most precious memories of my life; I want other people to have an experience like that, one that they never thought would happen in a million years. Is that selfish? Would you rather they just end? Shouldn’t you just be happy they’re still making music? For international fans, I fail to see the downside. If over-seas concerts give the girls a confidence boost and get them to come anywhere near Canada (for example), it’s a very, very good thing. In terms of their sound, a lot of people thought it wasn’t very creative and was very repetitive. However, if you listen to the Platinum songs now, they’re completely distinct from the other eras, despite those elements: yes, there is a lot of synth and not much genki, but there are also very powerful vocals and much more emphasis on expression and dance. The lyrics got a bit more introspective too. This era probably has the best b-sides ever. Remember, in the first generation, everything was moody pop and lots of harmonies until the much younger, much livelier Goto and fourth generation turned them upside down. Tsunku examined the group and decided to change their direction very deliberately. They were a group of girls who had auditioned to be soloists, so they were all vocalists and they were all very serious. They had no sense of themselves as a ‘group’. Goto began the beloved Golden Era and the Golden Era can mean a lot of things, but let’s just put it as, ‘when Momusu was new, very relevant in Japanese pop culture and sold a lot’. In the Golden Era, Tsunku experimented with a lot of different styles and kept things relatively light. In one of the 20th anniversary promotions, he said that before Love Machine they were in a slump and so he decided to recreate them as fun, likeable girls who had dances and songs everybody could enjoy. The production style really amped up too. For many, this remains his best work with Momusu and so far it’s still the time against which the rest of their songs will forever be measured. This is why people rage-quit so often: they wanted these kinds of songs and Tsunku wasn’t writing them anymore (or the company no longer let them through – we’ll probably never really know which). I’d say the period leading up to Platinum was the Graduation Era, because so many G.E members were graduating within months of each other. The dynamics of a group with so many different ages and experience levels must be hard to manage normally, but with that many shake-ups it’s a wonder we had any good songs at all. As an example, the giant size of the group gave us classic pump-up songs like Go Girl Koi no Victory, which inspired a young Riho-Ace to audition for the group years later; I don’t think anyone can ignore the impact she had on Momusu. 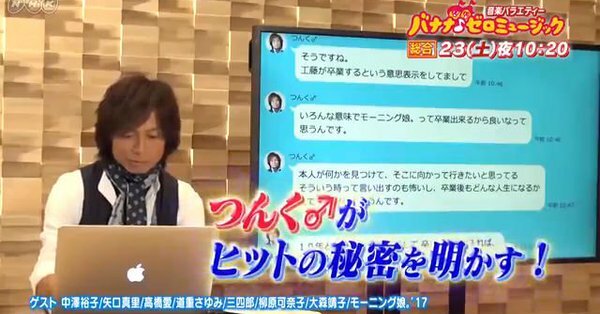 Takahashi said that during this slump period, Tsunku advised them to ‘hone (their) skills’. As a result, the group became more focused on live performances rather than variety. I remember a lot of very scripted (albeit hilarious) M.Cs from the Golden Age and I don’t remember a spectacular amount of choreography – at least not nearly as much as we get to see nowadays. There was a lot more fist-pumping and jumping around before they really got serious about their dancing. The aim was, ‘dances anyone could do’ and it wasn’t yet the time to impress with formations. I remember the Resonant Live tour really brought this home for me. I still absolutely love that concert. I’m not saying they were the best dancers ever, or that the actual moves were super impressive, but the emphasis was there and their expressions and stage antics were so engaging. This emphasis trickled down into H!P and now we have things like the H!P Dance Group and increasingly complicated routines with acrobatics. Perhaps it’s harder to imitate, but it’s exhilarating to watch. That was also the first tour I remember in which they debuted new songs (album songs, no less) on stage. Seeing Guruguru Jump and Take off is Now onstage for the first time made me so very happy. I could finally HEAR Junjun and Linlin do a fun, ridiculous song and then the aggressive dance-track I was never expecting completely killed me. It was a damn good start to the Era. The previous tour had been about Momusu history and this concert was about Platinum Gen.
Their stage antics and M.Cs became a lot more familial. The girls were all the same age or close to it and bound together by the weight of their history, the expectations of fans and senpai, and the pressures of rival groups and public disinterest. You can argue that that a keen sense of rivalry is a better idea than familial bonds, but for this incarnation I don’t agree. I think if they’d been fighting each other on the inside, they might have cracked from the pressure. There are stories of them fighting over silly things or sniping at each other, but it all sounded like family squabbles common for girls their age. There will always be a sense of not-wanting-to-lose to the other members, but it just wasn’t as visible. Takahashi wasn’t a leader as much as a big-sister and she was highly respected in the group for her talent and kindness. She made the group a united front; after all, they were all in it together, striving to keep going and continue the legacy passed to them. The girls did what they could with what was given to them and they did it together. Besides, every Momusu leader has to find her style. Takahashi chose to break down the wall between senpai and kouhai enough that they could find that family dynamic. You could really see this during concerts and backstage. I’ll let you fill in the adjective there. The question of the ‘ace’ is what brought me into this whole series of posts. I had tried to make a list of all the ‘aces’ over the years and after Abe and Goto, it was impossible to identify a main ‘ace’. Riho was obviously the choice for Robo-Musume’s ace, but what about before her and after Abe’s graduation? Ace used to mean “the girls who got the most promotion/t.v-face-time”, but it became “the one with the most solo singing lines” (Ai/Winky) coupled with “the girl the company really wants you to like” (Koharu). How does one define an ‘ace’? If it still means the “face” of Momusu, wouldn’t it technically have been Michishige, as the member with the longest tenure in Momusu history and the last hanger-on from the Golden Era? She was probably on t.v more than any member during that time. A lot of people still remembered Takahashi, but she was so helplessly shy on her own that I’d argue Shige’s appearances remained much more memorable. If Ace meant “Tsunku’s current favourite girl” then that really seemed to stop at Goto Maki. The public embraced her so much and so quickly that he’s been trying to recreate the Goto-effect for years, hence Koharu’s baffling ‘miracle’ moniker. I never understood that, but so many bloggers LOVED her Kiririn nonsense and got into H!P because they loved her. To me, Tsunku seemed to give her lines because the company wanted to keep pushing her; I don’t like her singing voice and in songs like Nachatte Renai, it’s just jarring. He was writing songs for those who could hit the notes and there was a ton of stuff he could do with a voice like Takahashi’s, but apparently there was a demand for Nut-job’s warbling. I suppose one could argue that this opened the door for people like Ogata Haruna, who while adorably awkward, is demonstrably bad at singing. There’s still a place in Momusu for the struggling vocalist who really must earn her stripes in songs, but who can add a lot in terms of character. As far as single-girl ‘generations’ I think Oda is a miracle. Her singing is amazing and her dancing gets better every year. And she’s bloody gorgeous! It was like she’d always been in the group and considering her first two singles were Help Me and Brainstorming, two of the most difficult routines they’d ever attempted (at least up to that point), I’d say she deserves more than just a passing nod. So what’s the point in all this rambling? My point is this transition period that got so much hate changed everything. Instead of ‘stagnating’, Momusu used this time to recreate themselves yet again. Sure, this era gave us the ace that will get lines regardless of singing talent and will get backed up by the capable singers. That wasn’t the case before and again, opinions vary on why, but let’s agree that this basically kept on until Riho graduated. Variety went out the window because it just wasn’t an option and now every show is about promotion – no more getting teased into thick skins. However, by bringing dancing talent into the forefront, Momusu finally slid back into the public consciousness and began to achieve number ones again, even if it was only on the daily charts. The entry of Junjun and Linlin developed international travel plans, testing the waters for interest, and now we have tour spots in Europe and North America. Their contract with J-Melo lets them communicate and interact with their international fanbase in a way they never have before; ditto youtube, which is an incredibly cheap and widely used marketing tool. 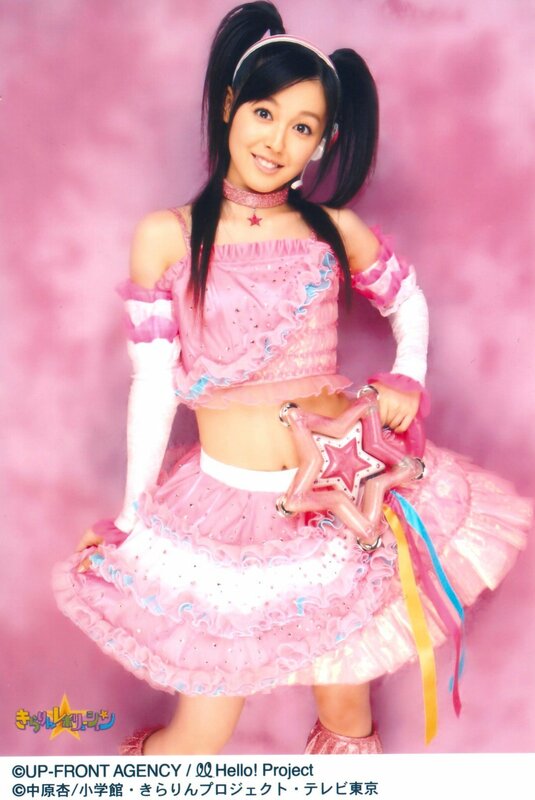 This time also developed Momusu into a more focused unit. I’m not suggesting there is no more senpai-kouhai divide (with the now differing ages, it’s gonna factor in way more and it’s always been at the core of the group), but the focus is propelling the group forward by standing out, rather than simply to overcome each other. Rivalry is very much alive, but it exists to accomplish that goal. Their formations are a good example of this: if even one girl is not working with the rest, the whole thing will fall apart. How many insanely complex songs exist now, after twenty years of development? Rather than looking down her nose and being harsh about mistakes, he advises the senpai to cheer new girls on. They were all newbies once and they’re all part of the same group; they all have the same responsibility to carry it on. It was very astute and something we don’t really think about. Whenever they appear, Momusu is so professional in their manner, so spirited in their performance, that they make it look effortless (YMMV, but I think so). I lived through Platinum Gen and blogged pretty steadily. While I was just as excited as everyone else when we finally met the 9th gen, Platinum will always hold a special place in my heart. Usually, transition periods for Momusu only lasted a couple of months, but theirs was a whole three years before there were any major changes (in H!P there sure as hell was, but not so much in the group). The girls had to develop their own concept of the group rather than trying endlessly to recreate what their senpai had done. Tsunku told them to think of the group as “the Morning Musume of right now” rather than only thinking of the past. They still managed to grab new fans and keep the old ones long enough for the 9th gen to begin Robo-musume. I was so proud when they achieved a number one with Shouganai Yume Oibito. So many had ‘rage-quit’ because of Resonant Blue and Mikan that I felt it was quite the triumph. Once 9th gen came in and everything started to change more rapidly, there were suddenly comments about how the singing levels just weren’t as high, and the performance level had gone way down (due to newbies messing the up cohesion) and weren’t those Platinum gen members so talented? Yes they were, in their own unique ways. We’d actually been very spoiled. I don’t know who the new Ace will be, or if it’s even needed, but whomever they push, whatever direction they go, I’ll look back on that strange time and be thankful. If those girls had given up, we would have lost so much. Previous postIn Which BOSS Leaving Isn’t Even the Half of it. Bravo. Just… bravo. It’s easy to get swept up in the emotions at the time, but when you take the time to look back… this was a truly magical time that can’t be truly replicated. Morning Musume is a changing beast (just like how the breakfast special regularly changes) and the Platinum Era certainly had a hand. Hear, hear Islie. Had the Platinum girls lost to the public disinterest and pressure – we would really have a very different MM today (or would we even have the group?). Had JunLin’s entrance not opened doors to Europe and North America – the rest of H!P’s groups would not have had their opportunity to tour internationally either. The three years the girls spent together made them grow closer, and I doubt we’d see a time the girls are that tight-knit. Takahashi really grew into her role amazingly and given the amount of changes and challenges she had, she deserves way more credit for her time as the leader. This is a really interesting perspective for me to read, because in my little corner of fandom, Platinum Era (and we started using that moniker pretty much the minute the naming tour/CD was announced) was a big resurgence in positive fan activity. In particular, I’ve never seen such active fanfiction writing before or since, with a vibrant writer’s community. And broader internet timeline-wise, it also hit that sweet spot of when online forums were the primary social media, so I participated in quite a few threads that really loved this era, from creating memes to analyzing the dynamics. The key was that we picked up so many new fans. However, the H!P blogosphere, as centered around IntlWota, had many more people who came into the fandom much earlier, and often the primary way to make a sustainable blog is to make criticism the go-to. So it makes sense that the blog-community would never seem to evaluate Platinum Era favorably, you’d find that they didn’t evaluate any era favorably. During the years preceding Yossie’s graduation (which I think most refer to as the Twilight Era nowadays), it was griping about 5th/6th/7th not being good enough. During Golden Age, it was lamentations about no longer singing the cool songs from before, and mocking 4th gen’s reduced vocal capabilities. for me it is the fault of the agency that did not give much promotion for the singles of the platinum era! Moreover each one had a popularity even if it was always the trio Takahashi, tanaka and KOHARU ahead. Takahashi normal because it was the leaders of the group and the voice, Tanaka for his voice too and KOHARU for his great popularity. So for me it’s not their faults! Take Kusumi koharu example it was the Ace of the group center she had a lot of pressure with her solo career and in the group her schedule she showed once it was 3x more load than Miki. She sold more than Morning musume that’s why also the singles remained at 60k. the fans are not rich she is taking all. But when Kirarin revolution is finished in Japan The single nanchatte Renai is sold well it went back 70k do not forget.